Offering you savings on multiple meat purchases – you decide on the day and time you’d like to pick them up. Great meat, great value. 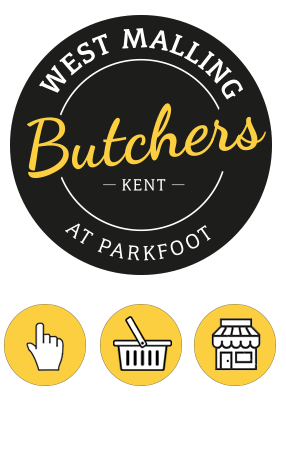 In 2013, Parkfoot broke the mould for service station convenience stores by introducing an in-store butchery, open 7 days a week. West Malling Butchers at Parkfoot, led by Manager Ian Mortimore and his highly experienced and skilled team, are committed to sourcing high quality meat. We handcraft our own sausages and burgers in-house and can respond to demand on busy weekends. We also have two dry-ageing cabinets which allow us to sell 4-week aged beef in perfect condition for eating: succulent and tender. It’s easy to pop in and park at Parkfoot and chat to our knowledgeable butchers about special offers; recipes, cooking times and cuts of meat. We can take your special orders in person or over the phone on 01732 840000 Ext 2. There are discounts available on bulk orders and we will get you the best market price available. We run a Loyalty scheme for regular customers. It’s National Butchers’ Week! West Malling Butchers@Parkfoot are celebrating with a local special this weekend: free range neck end of pork from Hadlow college. 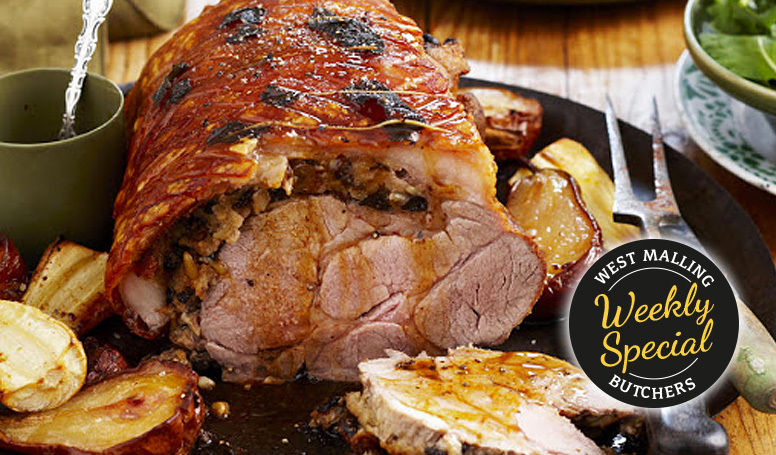 Boned and rolled is great for Sunday roast, or pulled pork. Just £6.49 per kg. Great local meat, great taste and great butchers.